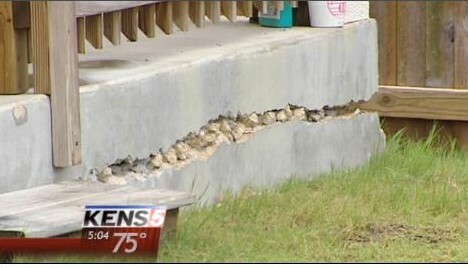 JACKSONVILLE, Fla. -- All this week, First Coast News has been reporting on structural defects in new homes. In every case, the root of the problem has been failing stucco. But the material is older than the state of Florida. And it's basically a cement wall -- a simple veneer of cement, sand and water. So why is stucco causing so many problems? In part, the problem is how it's being used. Unlike stucco over brick or masonry, the arrival of wood frame construction created a new challenge for stucco  making it easier for it to shift, crack and allow water intrusion, and wood rot. The problem has been surprisingly persistent. 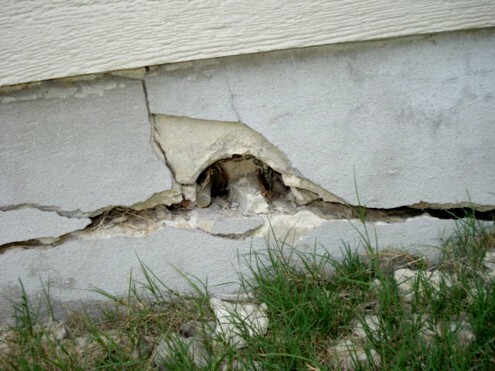 It's been more than 10 years since the residents of the Southside Jacksonville neighborhood of James Island tried to file a class action suit against their homebuilder, Arvida, citing cracked and failing stucco. 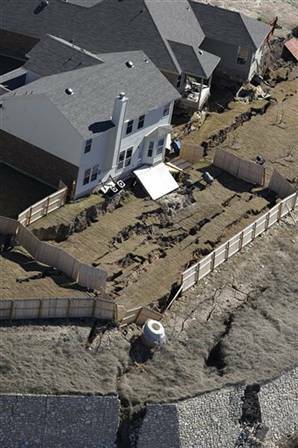 As First Coast News reported in 2003, the builder acknowledged the homes might not, strictly speaking, match state code. A letter to homeowners said, "Although we believe your home is being built to meet or exceed building practices, some homes upon completion may differ from the technical requirements of Florida's building code." Barry Ansbacher represented the residents of James Island. And although a judge didn't allow the case to proceed as a class action lawsuit, he says the litigation proved eye opening. "We found those problems were systemic, not only in that neighborhood but throughout North Florida," he says. At the time, he notes, it wasn't even possible to buy the hardware to make sure stucco was applied correctly -- 7/8 of an inch thick, as required by law. "They only sold ½ inch accessories or smaller in this area. You couldn't even purchase a 7/8 inch accessory. So it was clear the industry was just blatantly ignoring their obligation under the building code." Casey Ratchford, a Jacksonville attorney, who represents hundreds of homeowners on the First Coast with failing stucco, including in the south Jacksonville neighborhood of Bartram Springs, says problems start when it's applied too thin, or too quickly. "It's not rocket science but it is a complex process. And it's hard work. What you have is homes being built by laborers, who are not trained correctly, and don't know what they're doing." Stucco goes on in three coats, each of which is supposed to dry for 48 hours, so it's difficult to supervise. 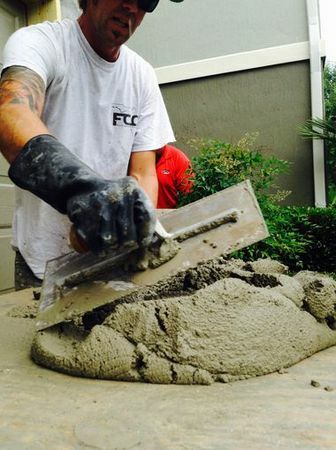 Florida doesn't require a license or any training to apply stucco. And there are no stucco inspections required during home construction. Tom Goldsbury, chief of the city's Building Inspection Division, was in that post when James Island problems developed, and has heard about more recent problems in Bartram Springs. Asked why it continues to be such a persistent problem, he says when bad stucco surfaces, "there's a good chance people were moving too fast, hurrying job to job, and maybe didn't spend the time they should." He adds that the boom years in Florida real estate were bad for home quality. "There was a 12-month period back in '05 '06 where we did 9,000 new houses a year. Now we do 2,500. That just tells you how fast things were going. And maybe people didn't take as good a care as they should've." Goldsbury says there's little he can do to fix ongoing stucco problems. Although he personally signs each certificate of occupancy, indicating a house has passed all required inspections, he notes that those seven inspections are often conducted by private consultants, hired by the homebuilder --- a seemingly conflicted arrangement that is nonetheless allowed by state law. Even when city inspectors are involved, though, Goldsbury says they don't have the manpower to oversee each stucco application. "It's just something can't do. We're not required to do, and we can't do." In fact, the city could do more. State law allows for extra inspections, and communities in South Florida, like Broward County, have added them -- in part to cope with a wave of stucco failures. Goldsbury acknowledged that the city has discussed adding inspections, but for now: "You've got to count on your builder to see that it's done right." Unfortunately, that doesn't appear to be happening. Ansbacher says that when it comes to stucco over wood frame construction, "it is almost universal you will find there to be problems with the stucco application." And simply passing inspection, he says, can be almost meaningless. "I've been doing construction litigation for 25 years, and the vast majority of work I've done is for completed projects. And every one of those projects is completed has a Certificate of Occupancy, which means it had to pass inspection." We asked the Northeast Florida Builders Association about stucco problems. Executive Director Corey Deal says, "we believe it's a good product, it just needs to be applied properly." He says NEFBA, prompted by litigation elsewhere, recently updated the stucco bulletin, which translates building code into layman's terms. He hopes that makes it easier for workers in the field. But he says that's the extent of the group's role -- and it's no guarantee it will prevent future stucco failures. "Nothing is 100 percent foolproof," he says. "It depends on a lot of variables down the line, checks and balances." But with repair costs that range from $40,000 to $190,000 to rip off and replace stucco, failure  for most ordinary homeowners  is not an option. "They feel stuck," says Ratchford of homeowners with failing stucco. "The biggest investment that they've made is now worth half of what it should be, worth through no fault of their own. And I don't think that's what they're expecting when they're buying a brand new house."